An article by Hamid Najafi, CTO and co-founder of Sensoplex Inc.
By integrating sensors, MCUs, wireless communications and a user-friendly software interface, the Tetra SDK enables design teams to focus their development time on their unique value proposition, not on hardware basics. According to IDC, the 19.2 million units shipped in 2014 were triple the amount of the previous year, and they expect units shipped to rise to nearly 112 million by 2018. In this kind of environment, first-mover advantage cannot be overestimated. Shortening time to market by months or even weeks can make an enormous difference in the profitability of a product over its lifetime. The problem is that developing these sorts of product demands expertise in a broad range of areas, from wireless communications to power management to sensor integration. This presents a nearly-insurmountable barrier to the kinds of lean startup organizations most likely to generate game-changing product ideas. In response, Sensoplex and Spansion (before the merger with Cypress) have teamed up to create the Tetra SDK, a hardware/software platform that tackles the challenging yet mundane aspects of wearables design, enabling development teams to spend their time on areas where they truly bring value. 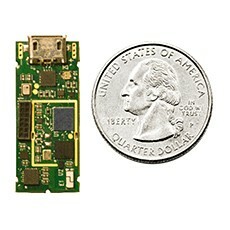 Figure 1: The SP-M310 module, the heart of the Tetra SDK, delivers a highly functional hardware and software solution in a small form factor to speed the wearables development process. Let’s suppose you have a great idea for a sport and fitness product. You plan a piece of hardware that will be worn by the user or attached to some sports equipment. You’ll also write a really cool app for iOS and Android and then link those apps to another app in a server in the cloud. You know exactly how you want the software to work and you even do some coding. Then you turn to the hardware and things grind to a halt. Suddenly, instead of working on your apps, you’re spending hours and days learning about accelerometers, gyroscopes, magnetometers and pressure sensors. You’re staying up late trying to become an expert in Euler angles, rotation matrices, Bluetooth low-energy technology, radio design and antenna matching. You’re so busy trying to figure out how to interface sensors to iOS and Android apps that you don’t have time to work on the apps themselves. The weeks slip by as you burn through your early-stage funding and you haven’t even addressed issues like where to find cheap manufacturing, how to protect your IP and how to tackle FCC/CE certifications. Meanwhile, your product release date recedes into the distance. There’s another scenario, though—you use the SP-M310 module and Tetra SDK from Sensoplex, which take care of the sensors, sensor processing, Bluetooth low-energy radio, low power management and FCC/CE certifications. The Tetra SDK consists of two SP-M310 modules, a Windows application called SP-Monitor and source codes for basic iOS and Android apps to talk to the modules using Bluetooth® low energy wireless technology. Each module includes a 13 mm x 30 mm board featuring a Cypress ARM®Cortex®-M3 controller, a Nordic Bluetooth Smart radio and ARM®Cortex®-M0, three-axis accelerometer, gyroscope, magnetometer, barometric pressure sensor, ambient temperature sensor, battery charger, USB port and a two-color LED. If the application demands, more modules are available for purchase. 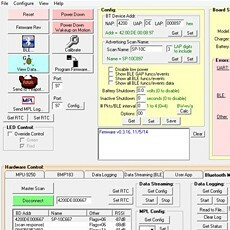 Figure 2: The SP-Monitor Windows application included with the board simplifies system integration and sensor interrogation. Designers can use it with the board to capture development data, which they send to Sensoplex for algorithm development. The SDK features a motion fusion library that includes sensor calibration routines as well as a set of motion parameters that can be adapted to a variety of applications. The Windows application is a highly functional tool for configuring, testing and programming the module. The iOS and Android apps include the source code that takes care of the Bluetooth Smart interface to the modules, so that you can focus on your application without worrying about the physical layer interface to the module. Let’s return to our example of a sports wearable. Maybe your daughter or a friend is a gymnast and you want to create an app that would analyze and quantify gymnastics movements. This could be used for training, comparing the performance and progress of an individual or among multiple competitors, and, of course, for bragging rights on Facebook. You might want to analyze an aerial, cartwheel, handspring or any other gymnastics trick in terms of motion parameters like speed, acceleration, height, g force, etc. To do this, you need sensors attached to the gymnast’s body, capturing data about every aspect of the movement. That data will be applied to a complex set of equations that generates the motion parameters your app will use to deliver the results that were the original focus of the project. That is the overall strategy, but let’s consider actual product development. What happens if instead of going through the complex sequence of hardware and software tasks listed above, you choose the Sensoplex Tetra SDK? Now, you can skip all of the basic hardware design and integration steps and jump right into creating your iOS or Android app. The modules in the SDK can be configured using SP-Monitor and strapped to the gymnast’s body (waist, wrist, ankle, head, etc.). As the athlete moves, the modules will log all the data, automatically sending it to your computer or your designated Bluetooth Smart Ready device. You email it to us and get back to your app. At this point, the bulk of your hardware and software development is done, while ours is just beginning. We will work in Matlab and develop the algorithms you need to track the motion parameters of your choice. Once we are all happy with the results, the algorithms can be coded in the Cortex-M3 MCU and then all you will receive via your wireless connection will be pure and simple motion parameters that you need to analyze and animate, gamify or plot in your app. You save yourselves months of R&D and tens of thousands of dollars in development costs. 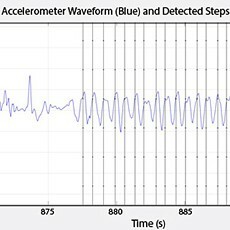 Figure 3: Data from the accelerometer on the modules can be used to analyze motion to deliver a variety of different parameters. To get to your finished product, we will work with you to design the housing and make a few prototype plastic enclosures using 3D printing. When everything is ready to go, we will manufacture the whole product for you and ship it to whomever you want. All you need to do is have your app ready on iTunes or Google store and you are in business. Your product is on the market, delighting customers and making money while your development team is hard at work on your next device for tennis, basketball, hockey, dancing or any other motion analysis. Quantifying and analyzing human motion is a fascinating and fun thing to do. Sensoplex makes that possible today, but another revolution with far reaching effects is in the works: digital health. For hundreds of years, we have gone to the doctor when something is wrong with our health. The physician asks us a bunch of questions (many of which we can’t answer properly and have to guess at), orders a bunch of tests, then comes up with a diagnosis—or orders more tests if the first set of results is not conclusive. Historically, this is been a cumbersome and time-consuming process. Twenty years ago, if your doctor wanted to monitor your heart for a few days, he would attach a few sensors to your chest and give you a Holter monitor to take home and bring back in a few days. You had to carry this ugly, big box with you everywhere you went, including to bed. You could not even take a shower or exercise. Today, your cardiologist attaches an ECG patch to your chest. It is invisible under your shirt. You can exercise wearing it, take showers and do everything you normally do. At the end of the test period, you just mail the device back to the lab for analysis. The same is true for monitoring blood oxygen and glucose levels, blood pressure and stress level indicators such as galvanic skin response (GSR). There are new devices coming out every month that make healthcare testing simpler, cheaper, more accurate and more convenient. Soon these devices, worn on a regular basis by healthy people, will pioneer predictive medicine, helping to prevent health problems as significant as heart attacks or strokes. With this new approach to medicine, if you tell your doctor you had a dizzy spell a few days before, she can open your smartphone app and check the record of your vital signs. That data will enable a more effective diagnosis of your health problem, faster and more accurate than ever before. The savings in health costs will be massive and, more important, many lives will be saved in the process. In recognition of this important trend, Sensoplex’s next steps are to add the most advanced biosensors to our platform as they are being developed. We will soon introduce a very accurate and convenient ECG sensor that measures heart rate, heart rate variability, stamina and other parameters that help you and your doctor better monitor and manage your health, your nutrition and your daily exercise routine. The wearables market is exploding with innovation ready to improve the lives of people around the globe. Do you or your company have an idea or need for a product in sports and fitness monitoring, digital health, or, in broad terms, an Internet of Things concept or product? If so, contact Sensoplex and see how we can help you get your device to market in the shortest time and at the lowest cost possible.